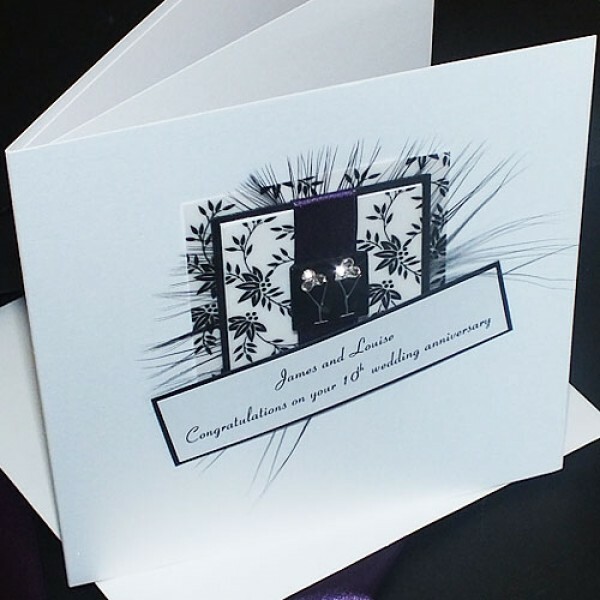 Handmade Anniversary Card "Black & White Champagne Glasses"
Handmade Wedding Anniversary Card "Black & White Champagne Glasses"
A beautiful personalised black, white and purple handmade card ideal for an engagement or wedding anniversary or wedding day. Silver champagne glasses hand-painted onto a black tile and mounted on lovely black and white vellum, sparkly card and purple satin ribbon and feathers. The glasses are embellished with Swarovski diamonte 'bubbles'. The design is created on lovely white pearlescent card with a matching blank pearlescent insert. The insert can also be personalised if you wish - please enter the details when you place your order. The cards shown is for a 10th Wedding Anniversary'. 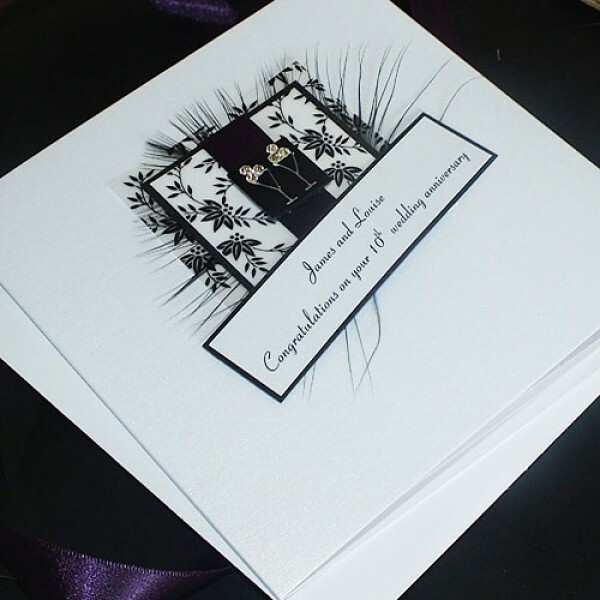 This card would also be ideal for other special wedding anniversaries, engagements, wedding day etc. for special son, daughter, friends etc. The card is supplied with a white envelope. 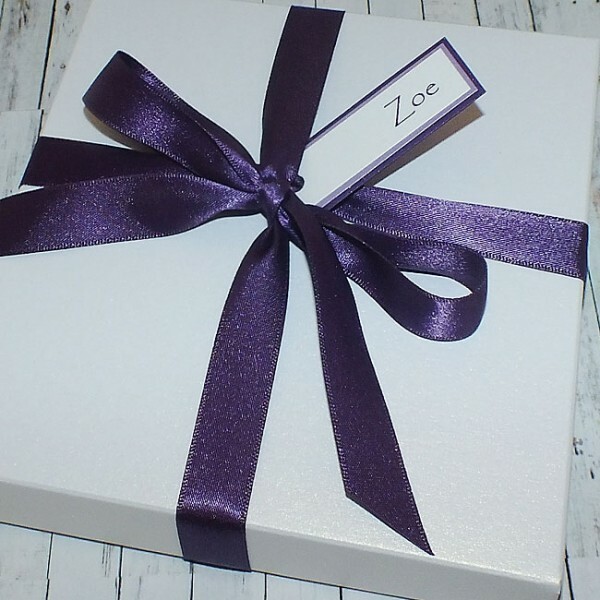 Also available with a smooth matt white box / matching pearlescent white box, lined with tissue paper and wrapped with a satin ribbon. Product Code: Handmade Anniversary Card "Black Champagne Glasses"